The move comes as the firm shifts the focus of the real estate practice back to its prized client base of asset managers, hedge funds, credit funds and direct investors amid a recent drift. The firm’s restructuring – or ‘special situations’ – practice is also being repackaged to appeal to the desired client base. The firm’s City branch has had a rocky time in recent months amid a number of partner exits and potential tensions arising from increased scrutiny from its US practice. 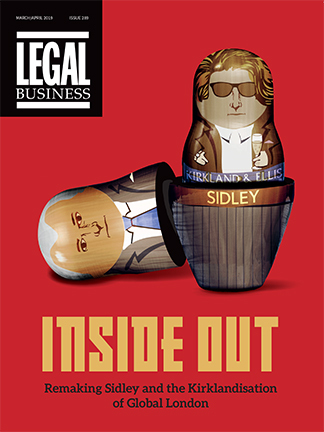 Having almost quadrupled the size of its London practice over the previous five years, the firm’s 2017 financial year saw it shrink by 13% to 125 lawyers and its City partnership by 20% to 27. Kirkland & Ellis, Watson Farley & Williams, King & Spalding, Linklaters, White & Case and Dechert recruited partners from the firm. In April, Ropes named New York real estate partner David Djaha as the successor to David Chapin as firm-wide managing partner when he retires at the end of 2019, while corporate partner Julie Jones was named chair, to take over from long-standing leader Bradford Malt. Meanwhile, Ropes’ vision for London would see its litigation, funds and private equity offering expanded. The firmwide revenues of nearly $1.6bn for 2017 – a 7.5% increase on the prior year. While it does not provide revenue breakdowns by office, the firm said the London base enjoyed its best performance last year. 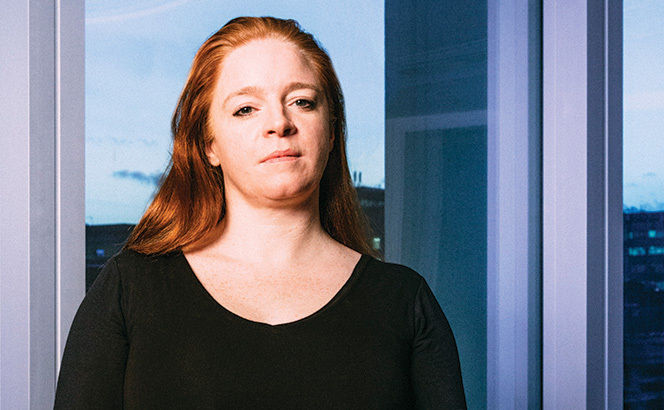 The firm points to its recent hire of Goldman Sachs loan negotiation group managing director and CC alumni Carol Van Der Vorst as a sign of its strengths in London. ‘As we look towards the next phase of growth, we think expansion in the underwriter side and further expansion on the large-cap sponsor side will be a good source of business,’ co-head of finance Michael Kazakevich told Legal Business at the time. Ropes started the year with another marquee hire in the form of Clifford Chance white-collar crime partner Judith Seddon as co-head of its London international risk practice, a move designed to bolster its English-qualified litigation firepower. Private equity powerhouse Helen Croke (pictured) led a team from Ropes & Gray advising Intermediate Capital Group (ICG) on a £1.3bn joint partnership investment. The investment, alongside HG Saturn Fund, is in IRIS, a business-critical software provider for the UK accountancy, education and business market. Ropes & Gray finance partner Alex Robb advised on the debt aspects of the transaction. The same team of Croke and Robb advised ICG in June last year, when the private equity house acquired Visma in a $5.3bn consortium buyout – Europe’s largest-ever software takeover. Elsewhere, Eversheds has acted for the shareholders of UK engineering company John Guest Holdings on its £687m sale to Australia-based plumbing supplies group Reliance Worldwide Corporation (RWC). John Guest Holdings is a family-owned company and ranks as one of Europe’s largest suppliers of plastic fittings for the engineering and plumbing sectors. Eversheds’ team was led by M&A partner Chris Halliday, while support was provided by employment partner Elizabeth Graves, tax partner Ben Jones and real estate partner Iftkhar Ahmed. Wrapping up the week, White & Case advised private equity firm CVC Capital Partners on the €1.01bn loan financing of a consortium buyout of Finnish private healthcare provider Mehiläinen. White & Case’s team acting consisted of banking partner Martin Forbes and banking partner Justin Wagstaff. 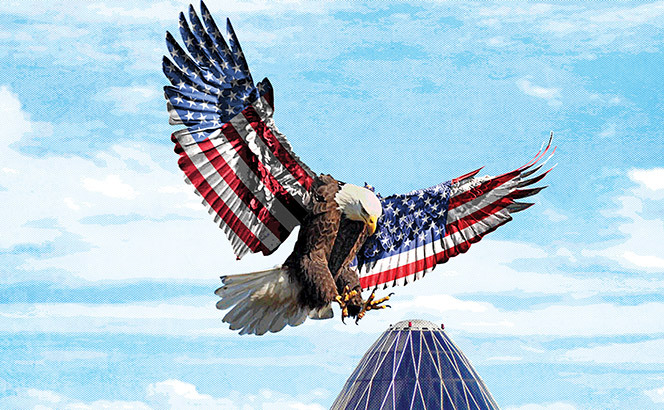 US firms have been busy expanding their European finance ranks this week, with Latham & Watkins scooping yet another Magic Circle partner and Ropes & Gray hiring a leveraged finance partner in London. In its race to the top of the German legal market, Latham has come back to London’s big four for the third European hire in less than two months. Thomas Weitkamp has quit Clifford Chance (CC) to join Latham’s banking practice in Munich. 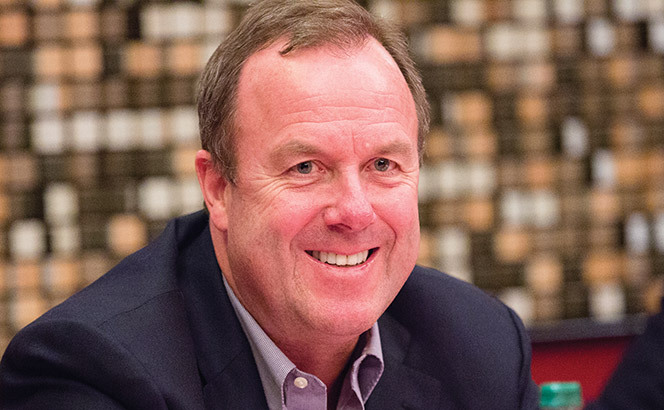 Weitkamp, who joined CC’s local operations in 2003 and made partner six years ago, advises financial institutions and private equity houses on leveraged finance, lending and restructuring – an obvious fit for a US firm which has been aggressively expanding its local transactional capabilities in recent years. ‘Our German finance practice is strategically focused on ground-breaking leveraged buyouts and corporate finance transactions,’ said Latham’s Germany managing partner Oliver Felsenstein. This is the second German lateral from the Magic Circle in less than two months for Latham, which in March tapped a retrenching Freshfields Bruckhaus Deringer to recruit its seventh Dusseldorf-based partner while also hiring from Linklaters in London last week. In Munich, the firm previously hired Linklaters’ head of private equity Rainer Traugott in 2016, while Felsenstein himself quit CC with Burc Hesse the year before, only a few months into a four-year term as head of private equity at the Magic Circle firm. 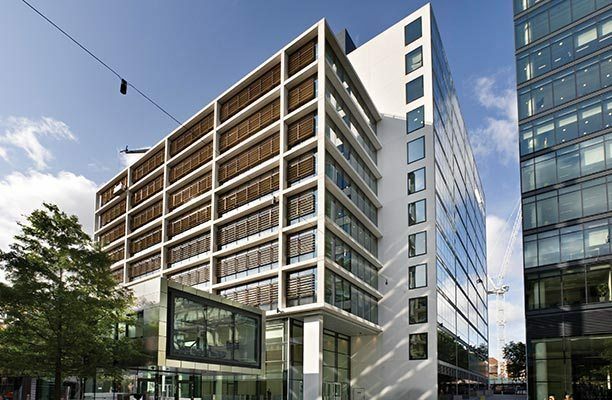 Germany has traditionally been dominated by London firms, Freshfields and CC in particular, but with both scaling down in recent years, 170-strong Latham is proving a potent contender for the top end of the market from its Dusseldorf, Frankfurt, Hamburg and Munich outposts. 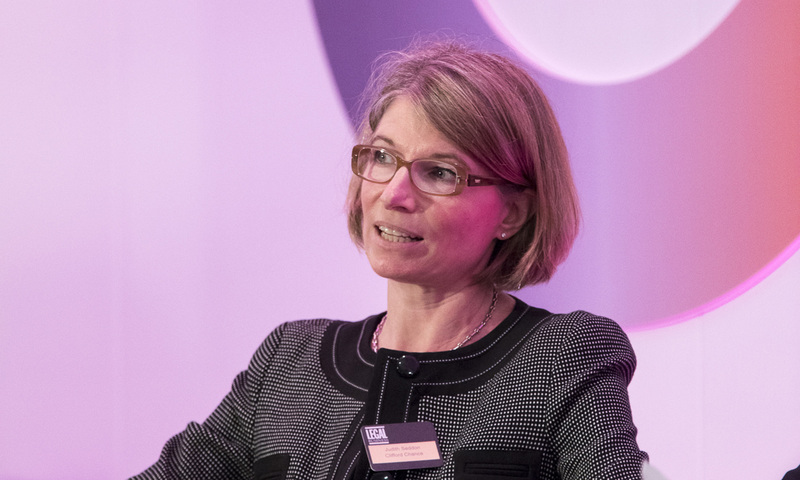 Another US firm strengthening its European finance practice, Ropes has hired Goldman Sachs loan negotiation group managing director and CC alumni Carol Van Der Vorst to become the firm’s seventh finance partner in London. Van Der Vorst, who started her career as an associate at CC before moving to Goldman in 2011, will start at Ropes in August as the firm’s 28th London-based partner. Her hire continues Ropes’ efforts to beef up the London office after a number of departures last year. The firm, which almost quadrupled the size of its London practice over the previous five years, saw its ranks shrink by 13% to 125 and its City partnership by 20% to 27. Kirkland, Watson Farley & Williams, King & Spalding, Linklaters, White & Case and Dechert recruited partners from the firm. But Ropes started the year with some headline London hires, including CC white-collar heavyweight Judith Seddon to co-lead its London international risk practice. Ropes & Gray has hired Clifford Chance white-collar crime partner Judith Seddon as co-head of its London international risk practice in a move designed to bolster its English-qualified litigation firepower. Seddon (pictured) will co-lead the seven-strong team alongside Amanda Raad, a US-trained partner who moved over from the US some four years ago to establish its London white-collar crime practice. Seddon joined Clifford Chance in 2008 as a senior associate, became a director of business crime and regulatory enforcement in 2011 and was made up to partner in 2014. She trained at Russell, Jones & Walker (now Slater and Gordon) and became a partner there in 2002. Raad noted that Seddon was ‘the missing piece’ in the practice’s long-standing strategy to consolidate a US and UK-trained team in London to locally service the international enforcement and compliance needs of the firm’s global client base. She added that Seddon was ‘the perfect partner’ for the job, given the relationships she has forged in her role on some of the SFO’s largest and most-complicated investigations. ‘After working alongside Judith for years, I have witnessed first-hand her superior substantive expertise and ability to exceed client expectations. As companies doing business in the UK come under increased scrutiny from UK enforcement authorities on issues related to corruption and fraud, Judith’s unparalleled experience will be immensely beneficial in navigating clients through potential enforcement landmines,’ she said. Ropes’ London team includes one US-qualified and one UK-qualified counsel, as well as five associates, of which three are English-trained. Ropes & Gray last August lost an international five-partner investigations and government enforcement team to Kirkland & Ellis, one of whom was Marcus Thompson, a partner and assistant general counsel. Seddon – who advises institutions, corporates and individuals – went on a three-month secondment in 2014 with the financial crime team at Barclays to advise on issues including the use of third-party agents and compliance with internal policies. She is ranked as a leading individual by The Legal 500 UK, which describes her as ‘the go-to woman for all financial services investigations with a criminal dimension’. 2017 has continued to provide rich pickings for firms with marquee private equity practices on either side of the Atlantic, with Latham & Watkins, Ropes & Gray and Travers Smith leading as US private equity house Leonard Green & Partners announced its £600m acquisition of PureGym from buyout firm CCMP Capital Advisors in November. 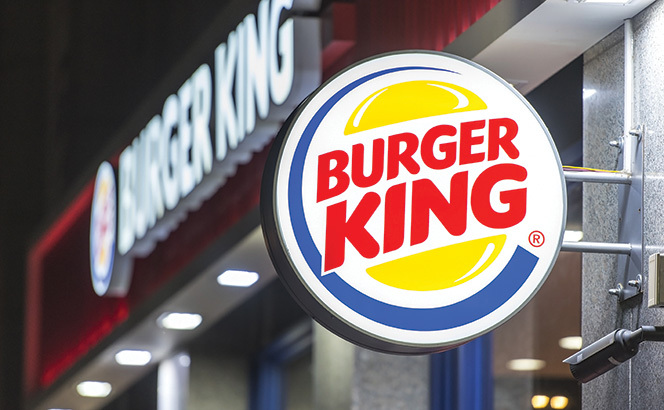 Travers Smith, one of Bridgepoint’s go-to firms, has sealed another mandate in the form of the private equity (PE) house’s acquisition of a raft of UK Burger King franchises. The mid-market deal saw Travers advise its longstanding client, while Macfarlanes – itself no stranger to Bridgepoint – advised the management buy-in team. The acquisition from Burger King Europe (BKE) means Bridgepoint will now own Caspian UK Group, the franchisee of some 74 fast food outlets. Ropes & Gray continues to promote London partners two-by-two, adding another duo in finance this year as part of a global promotions round of 12. The number of City promotions equals those made in the previous two years, while the overall total is up by one from 11 in 2016. Derivatives and structured finance specialist Anna Lawry and leveraged finance lawyer Alex Robb will be made up on 1 November. Lawry joined Ropes in 2014 as counsel in its hedge funds group. She advises on derivatives in financing and corporate transactions, as well as regulatory developments affecting derivatives. Before joining Ropes, Lawry was an associate at Slaughter and May for 14 years. Robb joined the firm’s finance group as counsel in 2013 and advises on domestic and international acquisition and corporate financing, as well as restructuring. He has acted for investment and commercial banks, private credit funds, private equity sponsors and plcs. Before joining Ropes, Robb was a senior associate at Freshfields Bruckhaus Deringer for four and a half years. 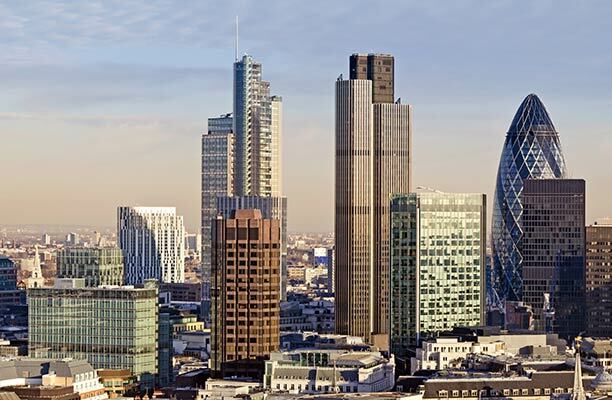 Two lawyers being made up in finance in London is notable given the firm lost two finance partners, Mark Wesseldine and Fergus Wheeler, to King & Spalding this summer. Elsewhere, the lion’s share of those promoted were in the US, with Boston receiving three and New York and Washington DC gaining two and one respectively. Silicon Valley saw one new partner made up, while another will operate from both the San Francisco and Silicon Valley offices. The Hong Kong office had two promoted, compared with one in last year’s round. The promotions come as City partner Michelle Moran leaves Ropes to join K&L Gates as a partner in its investment management, hedge funds and alternative investments practice. Moran had been an investment management partner in Ropes’ London office for four years after joining from Dechert. Wesseldine joined from Fried, Frank, Harris, Shriver & Jacobson in 2013, while Fergus Wheeler was made up to partner after moving from A&L Goodbody in 2014. The pair are both notable for their work for investment firm Kohlberg Kravis Roberts. Wesseldine advises on a wide range of multi-jurisdictional leveraged buyouts, other complex ‘special situation’ financing and restructuring transactions while Wheeler has experience in all forms of direct lending, hybrid unitranche structures, leveraged acquisition financing and special situations. King & Spalding London managing partner Garry Pegg said the arrivals almost double the firm’s finance practice in the City, which currently has three partners. ‘We are decently aggressive. This is part of a strategic push to strengthen our transactional practice in London, both in financing and corporate, so Mark and Fergus represent a fantastic fit with our existing M&A, capital markets, finance and private equity expertise. They don’t just do traditional direct lending, but also junior capital transactional credit funds and non-bank lenders areas. It also really fits well with our practice in the US and we have a lot of overlapping clients. The departures are not the first for Ropes’ London office this year. In April, London based Ropes & Gray partner Chris McGarry left Ropes in favour of White & Case. His clients have included Virgin Media, Trafigura, Shop Direct, Lloyds, Bank of America Merrill Lynch, Deutsche Bank, Europcar, Bain Capital Credit, Blackstone/GSO, Investec and Jerrold Holdings. 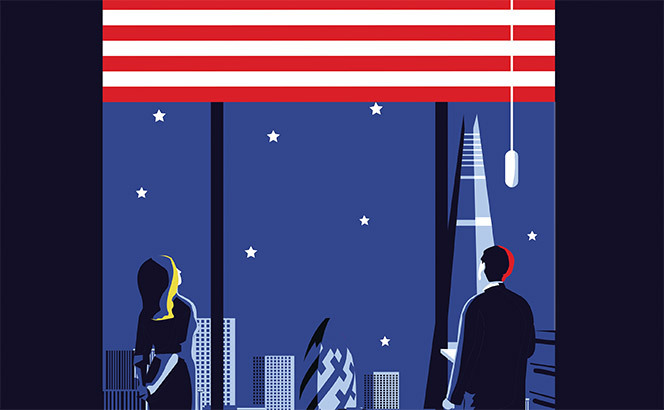 In one of the biggest blows for the US firm’s City office, in November it emerged that Ropes’ London co-head and office founder Maurice Allen would retire from his role to become a consultant at the firm. At the same time, it was revealed that Allen would serve as a consultant at DLA Piper to develop the firm’s finance sector strategy. By February, Ropes and Allen both confirmed that they had parted ways. In May, Linklaters poached Ropes’ restructuring partner James Douglas, in London. A regular adviser to KKR Credit, Bartec and Peermont Group, Douglas joined Ropes in 2010 from New Zealand firm MinterEllisonRuddWatts. He was also previously been a partner at Cadwalader, Wickersham & Taft. In October, the firm hired leading finance lawyer Malcolm Hitching, Herbert Smith Freehills’ former UK and EMEA finance head, to London. The Atlanta-bred King & Spalding has built a 23-partner London office, putting it just outside the top 40 largest City branches of US parents. The firm generated $1.058bn in the 2016 financial year, with average partner profits just under $2.5m.